25% OFF Introductory price, until the new version with AudioCopy is released. Beatshuffler is a music app that slices loops and allows you to trigger those slices, always on time. It is a great beat sketching tool where almost everything sounds interesting, since the slice triggering always falls on the beat. At its core, it is inspired by the mlrv app, for the Monome and other grid devices. I bought this app and here are my thoughts. Cons: You can not sequence the slices. There is no stop button. You can not sequence effects changes. There is no tap tempo. Changing the tempo is cumbersome. There is no way to enter the desired tempo in. No Audio Copy. Pros: Good for live slice triggering. Audio Copy on the way. 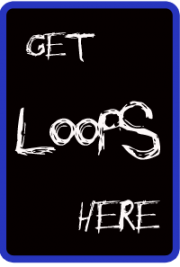 – 6 tracks for loops. – Ability to import WAV and MP3 files. – iOS File Sharing import for exchanging files with the app. – A master channel with effects. – A separate channel for each of the tracks, with effects. – Available effects: Delay and Low Pass Filter. Among the upcoming features are Audio Clipboard support, to import loops from other apps and an expanded loop library. Beat Shuffler is available for $2.99 for a limited time.